nPoint has been providing motion control solutions for Original Equipment Manufacturers involved in diverse markets for well over a decade. nPoint’s innovative design of nanopositioners and electronics offers exceptional high speed positioning while maintaining accuracy and repeatability. When an application requires added capabilities beyond those of our standard nanopositioning systems, we deliver solutions through new product development combined with novel integration of existing products. nPoint works with a variety of different companies in a wide range of industries with deliveries ranging from a few systems per year to hundreds. First it is best to look through nPoint’s current nanopositioning piezo stage listing to determine if a current design is the best fit. A system can be tested on a trial basis to verify if it meets the application requirements. If it does, other factors, including controller integration, will be considered in the next steps in the process. When a custom design is required, a set of specifications are necessary for the initial design phase. Scan Speed – How fast the system needs to move either by scan rate or step and settle time. Load Mass and Shape – Determines how fast the stage can scan by modeling the lowest system resonance of the loaded piezo stage. 3D models are helpful in accurately modeling this condition. Travel Range – The necessary travel of the stage. Piezo flexure stages are typically limited to a travel range of 2mm. Stage Weight – The maximum mass of the piezo stage. Stage Material – Materials of which the stage can be machined. Examples include: aluminum, titanium, and stainless steel. Resolution and Accuracy – Define precision, accuracy, and step size requirements. Determine what sensors are necessary for closed-loop control or if open-loop control is adequate. 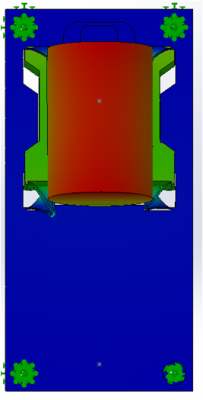 nPoint will then design and model the piezo stage using FEA. A design proposal will include the expected specifications of the system under approved design characteristics. Possible improvements and trade-offs for making changes to the system will then be discussed. Once the stage has been designed the next step is to build a prototype for testing. 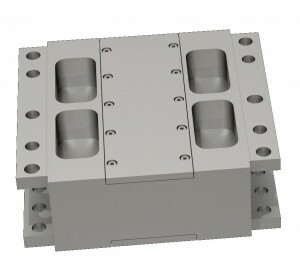 Single or multiple prototype systems can be built depending on the customer’s requirements. nPoint will characterize each stage and share the results with the customer when the first prototype ships. Testing can then be done by the user on site. Following onsite testing, nPoint will meet with the user to determine how the system performed in the specific application. Any changes, adjustments, or redesigns can then be performed for further development. 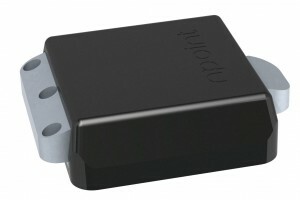 nPoint offers a variety of controller designs. The most commonly used design is a closed-loop controller. Each axis of the piezo stage requires a channel for the controller. For example, a single channel controller would be mated with a single axis stage, while a three channel controller would be required to run a three axis stage. Controllers can be fully enclosed or be sold as PCB boards with the same functionality. 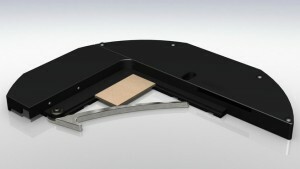 Custom enclosures featuring your company’s graphics are also an option. nPoint features digital controllers, which allows great flexibility for interface and software options. Custom firmware can be written for applications to further integrate other systems into the controller. Analog – Standard Analog interface via BNC connectors. -10V to 10V, 0 to 10V, or other settings can easily be programmed. USB – LabView and DLL drivers facilitate the integration of nPoint systems. A variety of programming languages can be used. Digital I/O – The user can assign different triggering functions to the 9-pin digital interface. PFM Interface – Designed to receive position commands in real time while facilitating integration of industry standard motion controllers. Ethernet Interface – Offers full functionality of the standard USB interface over a greater distance. Digital Encoder Interface – Enables integration of a quadrature encoder, which allows the use of external sensors with nPoint controllers for full closed-loop piezo positioning. AFM Interface – Designed to integrate into commercial AFMs to provided closed-loop scanning. Custom – Ask our team of engineers about other interface options. Click to explore examples of nanopositioner applications. The Robert Stobie Visible Spectrograph (RSS-VIS) is the first-generation, multi-purpose spectrograph on SALT (SALT is a 10m class telescope situated in Sutherland, South Africa). The Near InfraRed Robert Stobie Spectrograph (RSS-NIR) is a near infrared arm built on the original instrument to extend its capabilities into the near infrared. The versatility of RSS results in a complicated mechanical design. The tip-tilt stage developed by nPoint is used to move the fold mirror within the instrument in order to compensate for any image motion induced by flexure as the instrument (and telescope) tracks the sky. Z stage designed to carry large loads such as microscope turrets. 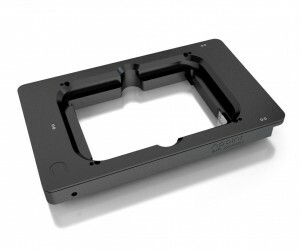 It has a 100µm travel range and can be used in a horizontal mounting configuration as well. Ultra-precise, vacuum compatible, XY80µm Z10µm stage developed for metrology applications. Low-profile, 300µm travel, Z stage developed for integration with standard, large-range stages for inverted microscopes. Its aperture was designed to accommodate microplates. 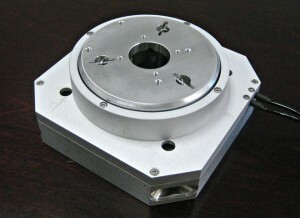 Compact Z stage with100µm range. Designed with a low-profile for easy integration with standard, large-range stages for inverted microscopes. It can be used in Atomic Force Microscopy Applications to provide long-range Z motion. 5-axis stage created for X-ray microscopy. Motorized XY stage with 45mm x 45mm range of motion. nPoint has developed a stage that can easily mount on manual rotation stages of upright microscopes. These are typically stereoscopic microscopes that are used in petrographic analysis. The thin profile of the stage allows for rotation without any interference with the microscope objectives. This allows the automation of point-and-count applications.